HELP NEEDED PLEASE SUPPORT US! 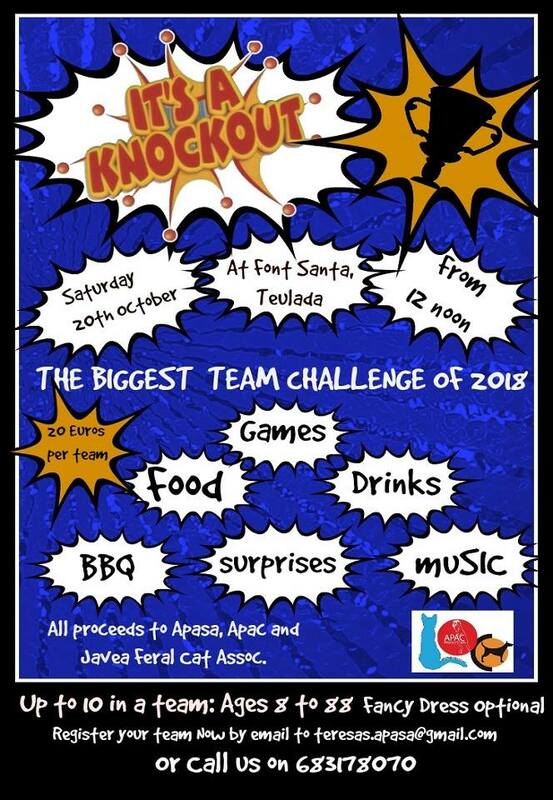 Apasa, Apac, Javea Feral Cat Association and Javea Connect have got their paws, hooves and heads together to host a family fun day with a big difference, on Saturday 20th October at Font Santa in Teulada. For those not competing, it will be a great spectator day plus there will be hot and cold food stalls, BBQ and obviously liquid refreshments all at reasonable prices ( proceeds all going to the 3 charities involved). We are looking for teams of up to 10 people to enter the contest, but not all team members will be required to play all games. You pick your most suitable players for each round while the rest of the team cheer them on. The games themselves will mostly remain a surprise, but, for example, we will be having a “Flip-Flop Fling” and a “Feed The Baby Slalom”  . The games also include a couple which are not hugely exerting so even grannie can take part! “The contest will be an ideal team building and bonding exercise for local businesses, groups or sports teams as well as raising funds for a good cause. 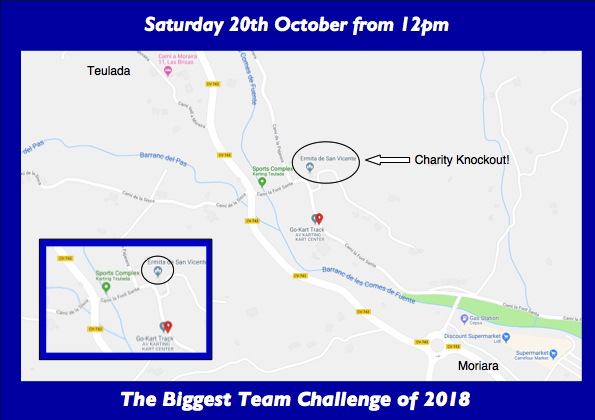 €20 per Team maximum 10 people. Teams are encouraged to come along either in fancy dress or dressed in similar colours or company shirts. If you come in fancy dress, you will be awarded extra points for the effort. Teams will need to register, preferably beforehand hand as we do need certain props to feature in the events and we want to ensure we have enough to go around. Payment can, however, be made on the day. 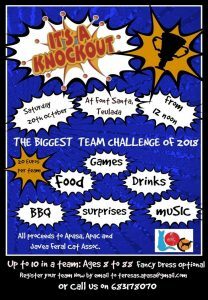 “Team registration is just €20 per team and all money raised will be shared between Apasa, Apac and JFCS. Anyone from 8 to 80 years can take part, regardless of age or fitness levels, in a safe, fun and entertaining environment. Join forces with friends, family or colleagues to complete wacky and wonderful challenges A ‘let’s go for it’ attitude and a sense of humour is all you need, and if that all sounds too much, just bring the family along for a fun afternoon of entertainment. An small entry fee of 1.00 euro will be charged for spectators. Enter your team now by contacting Teresa Sawdy at Apasa by email at teresas.apasa@gmail.com. Or you can call Loraine at Javea Connect on 683178070.